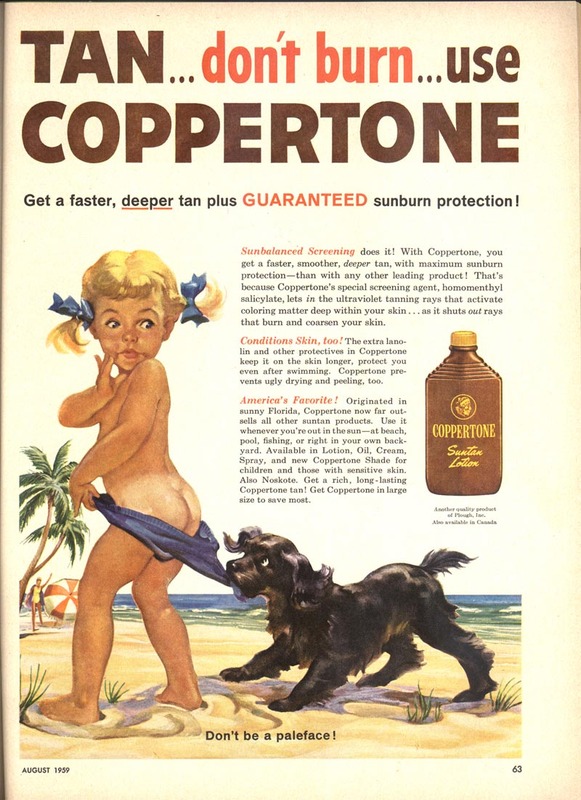 ... Joyce Ballentyne was also a busy Chicago advertising illustrator who can count among her achievements the creation of the Coppertone Girl and her mischievous pup. Marilyn Conover knew Ballentyne socially, as her husband was one of Haddon Sundblom's many apprentices. 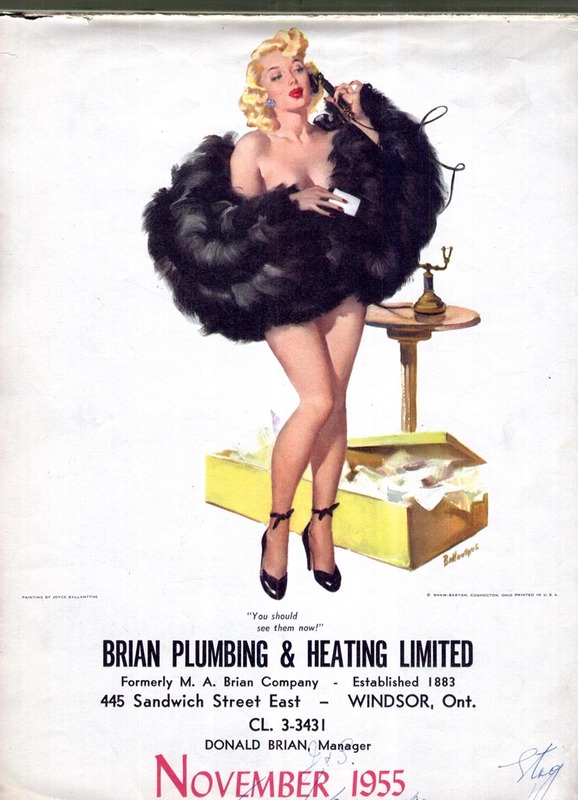 That association inevitably lead to the Conovers socializing with Gil Elvgren, Joyce Ballentyne and other Chicago artists who had their roots in the "Sundblom Circle." After making her way to New York, Conover continued to find pleanty of work. She credited her rep, Joe Mendola, with her success. 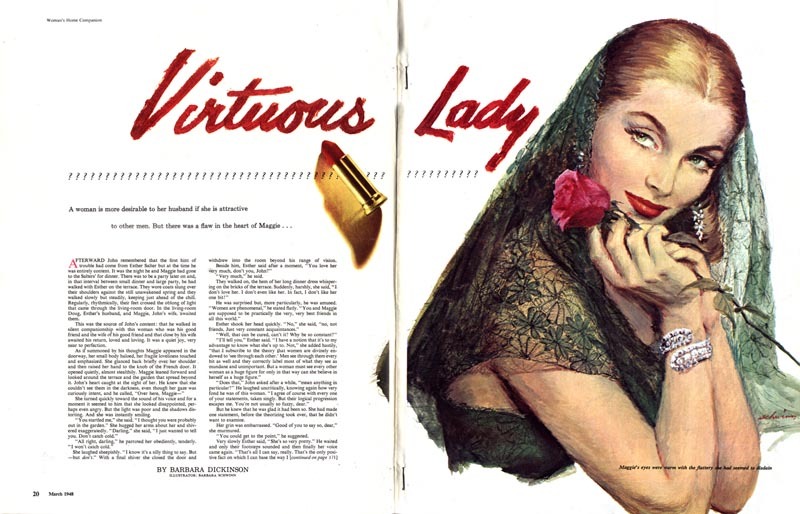 But despite never wanting for work, Conover did not look back on her career fondly. In a phone interview she told me, "Just thinking about those days makes me physically ill." She found the relentless grind of meeting client deadlines very stressful and recalled unhappy occasions like the time she had to finish an ad job from her maternity bed. 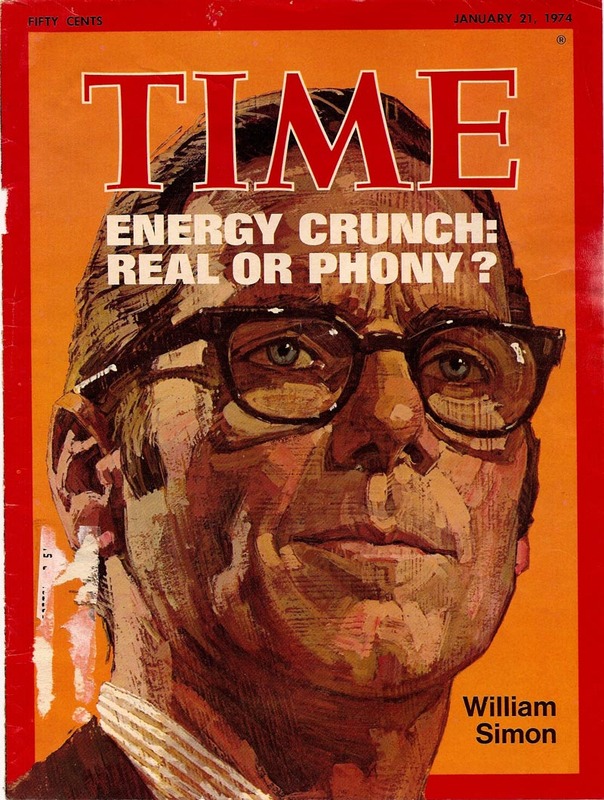 Not even the accomplishment of illustrating the cover of Time magazine swayed Marilyn Conover. 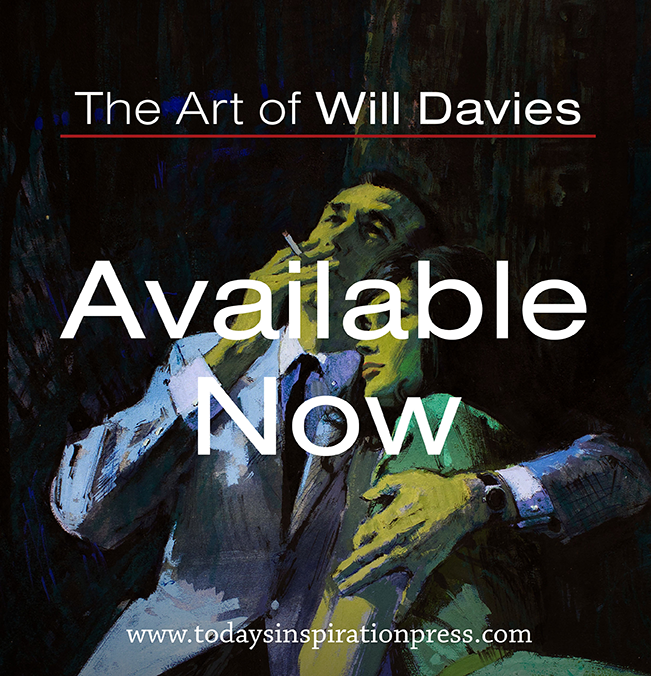 She told me that she deliberately took the train to Grand Central Station so she could walk around from news stand to news stand and see all those freshly printed copies with her art on the cover. But when I asked her how it felt, she said, "It felt like nothing. I just got back on the train and went home." 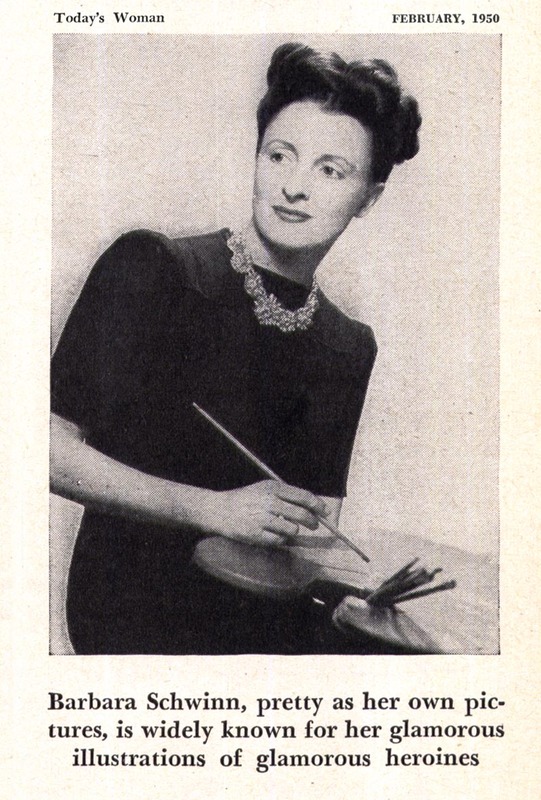 Not all the top female illustrators of the '50s ended up at the Cooper Studio, as Sheilah Beckett, Lorraine Fox and Barbara Bradley did. Take for instance Mary Mayo. She was first repped by American Artists and then by Cooper rival, Fredman-Chaite studios. Not much is known about Mayo, but there's no denying her drawing and painting chops. This story illustration below could, at a glance, be mistaken for something that might have been painted by Joe DeMers' brush. 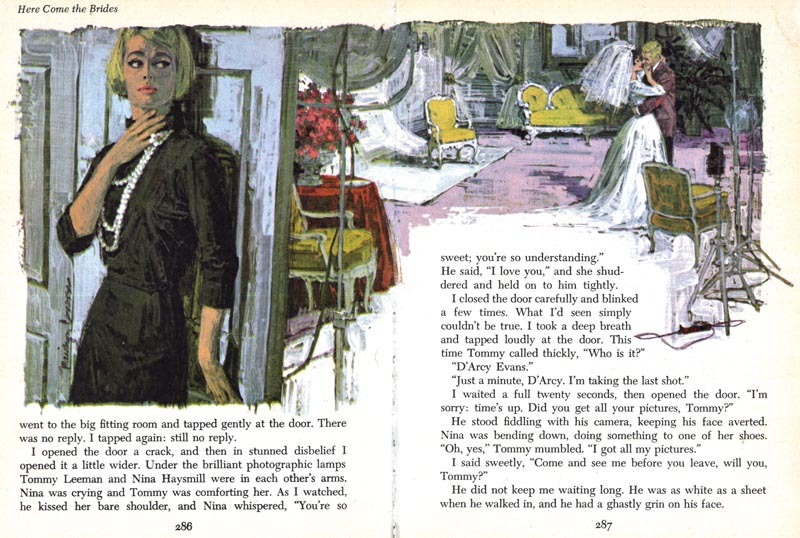 Monet could hold her own against the best in the business and moved easily between more sumptuously rendered traditional styles and the very modern flat, graphic techniques being pioneered by Al Parker. "Barbara Schwinn Jordan was born in Glen Ridge, New Jersey in 1907. 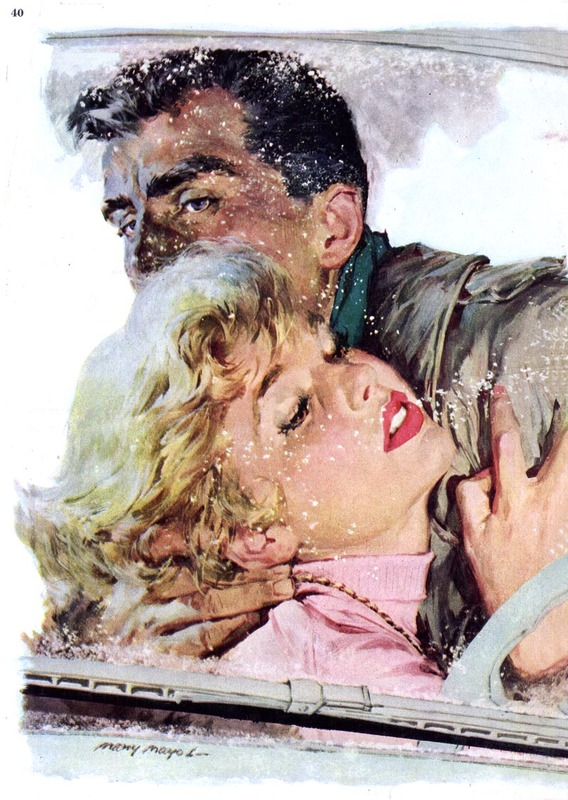 She studied at the Parsons School of Design, in Paris, at Grand Central Art School, Art Students League with Frank DuMond, Luigi Lucioni ad others, at Grand Chaumiere and Academy Julian in Paris, at Columbia University and the National Academy of Design." "She was commissioned to paint the portraits of Queen Sirikit, Princess Margaret and Princess Grace, among others." 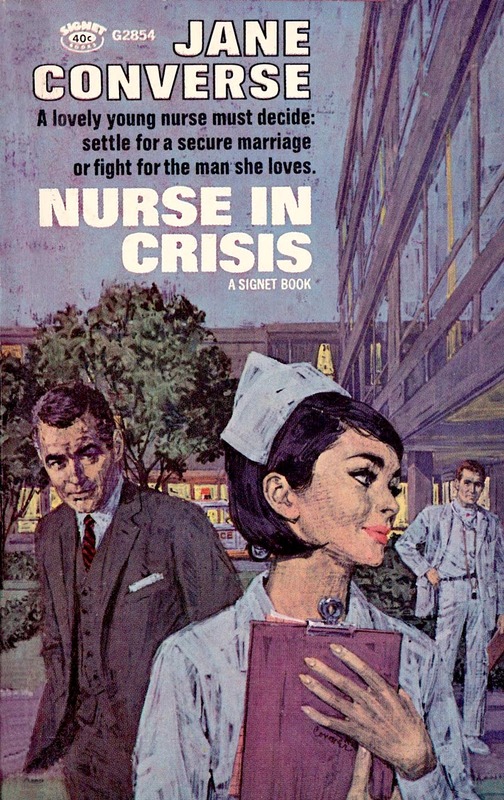 Schwinn was also one of the most prolific female story illustrators of the mid-20th century. 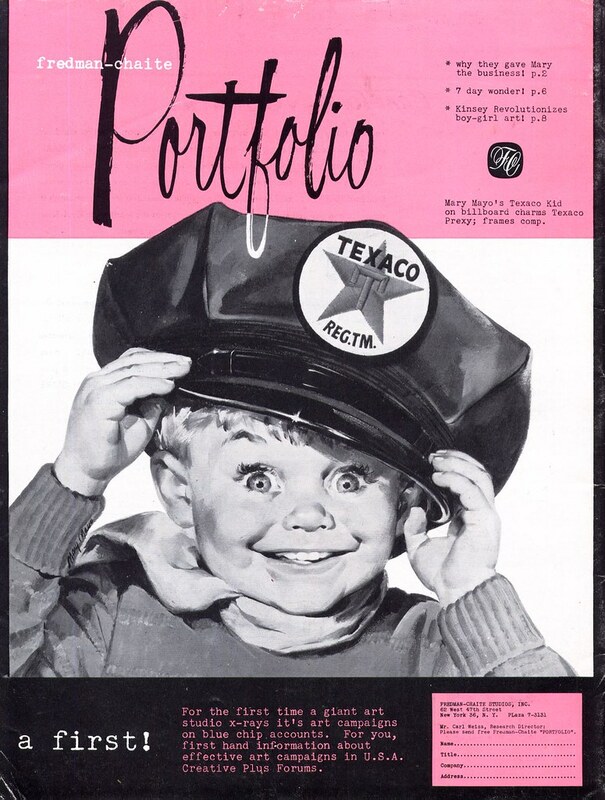 Represented by Lester Rossin Associates, Schwinn's work appeared in all the major magazines of the day on a very regular basis. Thanks for the entry on Barbara Schwinn, Leif. 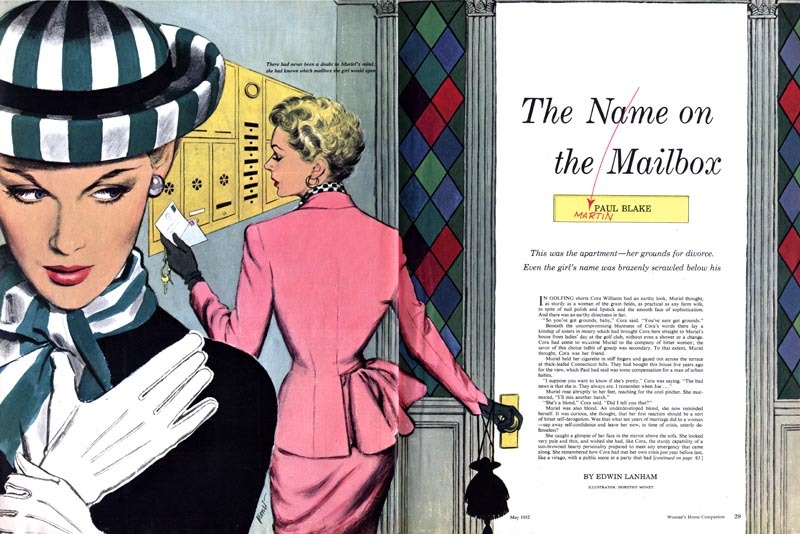 I own dozens of old magazines featuring her wonderful work and have always been curious about her. Can I just say I hate Gucci anything - whatever the saving. Steve; You're very welcome - and many thanks again for your frequent and generous gifts of scans from those magazines! See if you can dig up more on Ms.Mayo, Leif. That second piece is just outstanding! I can't tell you how wonderful reading these bios and backstories is. How do you do this? I want your book on these women-and on any and all illustrators. I'm ashamed I'm so ignorant about them. Just great stuff on great artists. Thanks! Ditto to all the great comments above - I've been loving this series and forwarded it around to some book designers I know. Also, I'll be featuring it on my Friday Round Up on my own blog, Wildly Read, tomorrow (giving you full credit, of course). Thanks so much for bringing these ladies and their wonderful work to our attention!